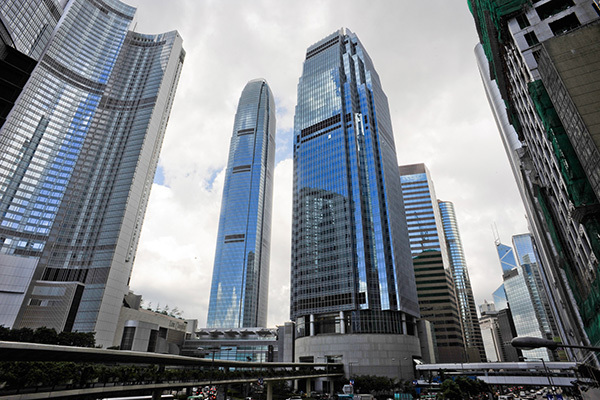 Hong Kong rivals both New York and London as global financial centers. Hong Kong is to China what Wall Street is to the US capital markets and London is to the European capital markets. This is why practitioners and scholars all over the world pay such close attention to Hong Kong’s evolution as path-breaking for future (or at least potential) capital markets and Governance developments in PRC Mainland China. Although Hong Kong has a rich English legal tradition, it very much stands on its own and has been open-minded vis-à-vis US-American capital markets developments just the same, both in the equity and debt markets and in terms of the Hong Kong Corporate Governance debate on minority shareholder and investor protection. Shareholder engagement and activism are important manifestations of such Corporate Governance evolution in the US and Europe, both equity and debt activism. Each strand of activism seeks to create or recover value where capital misallocation or mismanagement require intervention and improvements brought about by alert market participants such as hedge funds, investment partnerships and other opportunity investors. Interestingly enough, it is the German (rather than US or UK) activist experience, I have argued, that lends itself to a fruitful comparison to stakeholder engagement and shareholder activism with respect to Hong Kong’s listed company universe inasmuch as in terms of shareholder distribution, 60 percent of the German public companies are controlled by family and corporate group shareholders or dominating blockholders; whereas in Hong Kong, shareholder concentration is even higher, in the 80 - 90 upper echelon. The importance of Germany in conjunction with the shareholder activism phenomenon in Hong Kong should not come as a complete surprise, however, given her standing as a trading nation with strong ties to Hong Kong and China. For some time, notably fueled by an influential article by the BlackRock Chief Legal Officer, Matthew J. Mallow and co-author Jasmin Sethi, a novel approach by institutional investors has surged to the fore that enunciates addressing underperformers among their portfolio companies in an informal, collaborative, and discreet (if not secret fashion) behind closed doors. This phenomenon has been labeled as “Shareholder Engagement” (hereinafter mostly called “Engagement”). Mallow and Sethi argue how Stakeholder Engagement has meanwhile emerged as a pragmatic approach to underperforming portfolio companies shared by BlackRock, Vanguard and T. Rowe Price who believe that the polarisation of the activism debate in the US between the opponents of shareholder and hedge fund activism (Wachtell Lipton, Delaware Chief Justice Leo Strine, Jr.) and proponents of activism (Professor Lucian Bebchuk) supposedly misses the growing importance and potential of the use of informal Engagement with boards and firms by asset managers and institutional investors to influence the actions of directors and management. Investors may define Engagement as any communication with a company that enhances mutual understanding, or as a process intended to bring about change of approach or behavior at a company, or even a continuum covering all this and more, including full-blown activist interventions, as evidenced in Principle Two, sections 18–19; and Principle Three, section 24 of Hong Kong’s Securities and Futures Commission’s (“SFC”) March 2016 Responsible Ownership Principles. Regardless of the definition, Engagement is a more collaborative approach than the more contentious view of activism in the American, English and German empirical literature and known cases. Engagement allows for a more dynamic relationship between management and those entities, often asset managers representing the views of diverse shareholders. Mallow and Sethi describe the Engagement approach as one in which shareholders engage with management to understand firm objectives and strategies and influence firm outcomes. Under this approach, voting at AGMs is not the only means of being active to bring about change in portfolio companies. Engaging with boards and firm executives on a continuous, long-term basis is thought to bring about change through incremental, non-confrontational means. Engagement is seen as another legitimate means of influencing management and bringing about change outside AGM voting, which has thus far been the focus of empirical academic literature. Engagement is a relatively new development that has not been the subject of rigorous empirical studies yet. Its main purpose is to express views and concerns to the company‘s board and management who can do something about and address them. However, Engagement is becoming more relevant and the likes of BlackRock, Vanguard and T. Rowe Price are known to conduct short, direct value and governance-related discussions with hundreds of their public portfolio companies in Hong Kong alone. Engagement is the kind of discourse that happens privately, away from the scrutiny of the public and the media and seems less measurable than voting behaviour or pattern. Increasingly, large long-term shareholders have reached the conclusion that their ability to influence the leadership of their underperforming portfolio companies in question could be greater if they engaged in collaborative, constructive dialogue rather than resorting to more aggressive means. The academic literature focusing almost exclusively on AGM voting and voting pattern is therefore becoming disconnected to the new reality of Engagement for which there hasn‘t been assembled much of an empirical basis yet. The SFC’s 2016 Responsible Ownership Principles explicitly endorse the notions of meaningful and simultaneous Engagement of institutional shareholders with their portfolio companies and wider responsibilities vis-à-vis their constituencies as such. The SFC‘s 2016 Responsible Ownership Principles, Principle Two, sections 18–19 and Principle Three, section 24 may serve to round out these observations about Engagement as (i) an alternative approach to influencing corporate strategy other than AGM or GM voting behaviour, (ii) the common denominator between actively influencing public companies in both Hong Kong and Germany; and at the same time (iii) the smallest common denominator between the four different approaches to active investing in the Hong Kong securities markets by the different players we have identified (see Instalment II of this three-part article series). They tie in to the aforementioned UK Stewardship Code (September 2012 version) which has stood the Hong Kong community as a model, given Hong Kong‘s historic legal heritage. Particularly subsection (b) and (e) point into the direction of the SFC’s encouragement of intensifying the assertion of minority shareholder interests by monitoring controllers’ actions (a turning point in the relation between minority shareholders and controlling or blockholder ownership of the vast majority of Hong Kong’s public companies). 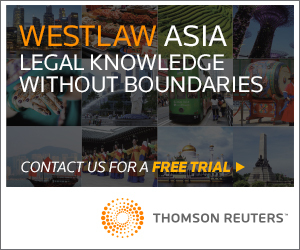 It does, however, not seem a break of the tacit Hong Kong consensus of minority shareholders seeking redress in court or reverting to the press to enforce shareholder rights or make themselves heard only if, when and after informal discussions break down. 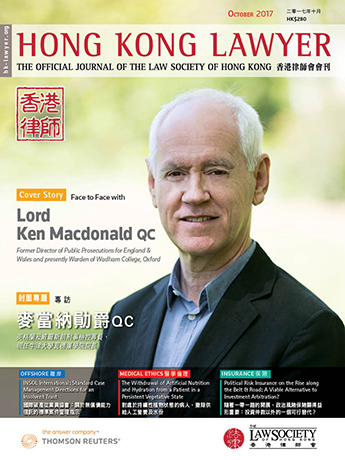 Recall that involving the press or commencing minority shareholder protection litigation has been viewed by each of our four different classes of active investors in the Hong Kong markets as appropriate under specific circumstances, if as a final/last tactical resort (again, consult Instalment II of this three-part article sequence). It is especially subsections (e)–(g) that take to the direction of UK and US shareholder activist strategies and seem an open encouragement to break out of the cultural taboo of bringing negotiations led behind closed doors out into the open, i.e. press releases, the press and the general public. It is not yet clear from interpretation and context whether this section 24 represents a full-blown turn of the Hong Kong community from shareholder engagement to occasional shareholder activism in order to bring about change and overcome the status quo of disregard for minority shareholder concerns by controlling shareholders and dominating blockholders. 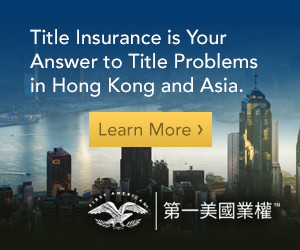 Legal Channels and Reputational Concerns Fueling Successful Activist Campaigns against Controllers in the U.S. – Lessons for Hong Kong (Kobi Kastiel)? To recall, in Hong Kong, activist targets are usually controlled public companies. In Germany, at times, activist investors engage with controlled companies and blockholder-dominated public companies (see TCI‘s recent April 2016 investment in Volkswagen AG preferreds; or Guy Wyser Pratte’s 2017 engagement with OHB, both German controlled public companies), but predominantly (i.e., in 400 German activist campaigns against 200 targets (out of a total of 650 listed German companies) in the past 15–20 years) experience suggests that activists invested in public companies in free float with dispersed ownership rather than blockholder-controlled public entities. Kobi Kastiel (“Against All Odds: Hedge Fund Activism in Controlled Companies”, 2016 Columbia Business Law Review pp. 60–132) argues convincingly for a US sample of about 200 interventions in 100 controlled companies that although such controlled companies are more insulated from activism than widely held public firms, they are not fully immune to it. He also shows how activism in controlled companies is not substantially different in nature from activism conducted in widely held companies. What mechanisms do activists employ when engaging with controlled target companies? Kastiel speaks of “against all odds” only if (i) a controller holds 50 percent of the voting stock, (ii) minority shareholders do not have the right to elect independent directors, (iii) minority shareholders may not oppose certain M&A transactions benefitting the controller, and (iv) there is no legal recourse in the courts for shareholder rights. Given my background studies and research, I find this definition over-inclusive: if a controller or group of blockholders together hold 50 percent or more of the target’s voting stock and if there is no right to vote for independent directors representing the interests of minority shareholders (the German and Hong Kong base case, if you will), I label the chances of prevailing with an activist campaign as against all odds. The right to litigate shareholder rights and claims in court. Under those circumstances, the shaming and reputational consequences for the controller become effective that otherwise would be a weak weapon in the activist arsenal without any legal empowerment. if they manufacture stuff or provide services, they do not want their brand name and reputation tarnished by a strong publicity campaign against them. Without further empirical research, these US findings are of limited value for Hong Kong legal practitioners. However, as a broad canvass, they supply useful arguments about the state of mind of controlling shareholders and blockholders and how best to attempt to align interests between them and their concerns with those of minority shareholders. The legal positions of minority shareholder protection in Hong Kong are a mixed bag due to contradictory regulatory regimes between the places of incorporation and registration for most Hong Kong listcos and the Hong Kong Stock Exchange (“SEHK”) Listing Rules, plus various Ordinances. This regulatory conundrum has its roots in the offshore nature of Hong Kong public company corporate life in that over 80 percent of all companies listed on the SEHK are “non-Hong Kong companies”, not formed and registered under the Companies Ordinance (“CO”) (because they are incorporated in the PRC, Cayman Islands, British Virgin Islands (“BVI”), or Bermuda for the most part). Consequently, they are not subject to the CO’s provisions, with the exception of Part XI and some other provisions, and can be regulated only by the non-statutory Listing Rules and Corporate Governance Code. In addition, they are subject to Parts XIII, XIV, XIVA and XV of the Securities and Futures Ordinance (Cap. 571) (“SFO”). The deeper problem is the ensuing regulatory disconnect and dissonance (i.e., ascertainable lack of minority shareholder rights in these offshore jurisdictions, especially Cayman Islands and BVI), as opposed to fairly developed minority shareholder rights protection afforded under Hong Kong’s Corporate Governance regime, particularly the Listing Rules and various Ordinances. With these qualifications in mind, greater emphasis has to be placed on informal arrangements between engaged stakeholders and shareholders on one hand, and listco management and controllers on the other, in resolving their differences of assessment, opinions and disputes. 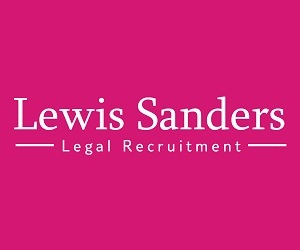 Depending on whom a Hong Kong solicitor or barrister represents (a controlling shareholder, a blockholder, a minority investor, an institutional investor, a local Hong Kong activist or an international activist fund), some valuable practical inferences can be drawn for their activist practice. Engagement as the smallest common denominator for collaborative discussions between shareholders and management of (controlled) Hong Kong companies on part of active or activist investors presupposes readiness of the company Board to so come to the table. Due to the fact that activists in Hong Kong and Germany prefer to approach target management and the controller/blockholder owners behind them in less contentious fashion compared to activist approaches both in the US and the UK, and dictated by the prevailing corporate culture, etiquette and decorum that both jurisdictions share so deeply, we witness rarely resort to publicity campaigns, litigation or proxy fights: in Germany, only about 20% of the activist controversies are fought out in the public limelight, in proxy fights or the courts. In Hong Kong, activists shy away from publicity or court proceedings even more strongly. In both jurisdictions, activists accomplish influence on a target’s future strategic direction by building a stock position in small enough purchases or structured as block trades in between reporting periods to remain undetected, not to drive up the price or give away their plans. So as to avoid balance sheet burdens, activists resort to amassing voting power via low-priced stock lending transactions. With an array of techniques such as option purchases or the acquisition of de facto voting power through equity swap agreements they augment on their future influence on the target board. In distinction to the US, the use of options or total return swaps/contracts for difference require notification in Germany (§§ 21 subsequently, 25, 25a Securities Trading Act/WpHG); in Hong Kong pursuant to section 313(1)(a) of the SFO. Also note that: (1) the holder of an option or other right to receive shares will acquire a long position in the shares and he/she is taken to have an interest in shares under section 322(8) of the SFO; and (2) the disclosure requirement when a person has a notifiable interest (i.e., 5 percent) and the nature of his interest in the shares changes (eg, on exercise of an option) is section 313(1)(d) of the SFO. The similarity as to consensual approach disposition in Hong Kong and Germany leads to an almost identical action plan chart for German activist initiatives, almost identical as for their Hong Kong counterparts (see Appendices A and B attached to the first instalment of this article series). The main difference is that the replacement of board members in Germany by way of informal pressure and the mere threat of litigation seems possible, where in Hong Kong the activist would need the consent of the controller, unless the target is widely owned, which is a relatively rare case (only 100 out of Hong Kong’s 900 listcos are in free float and widely held, not counting another 900 PRC public companies listed on the Hong Kong Stock Exchange); by contrast, the risk of self-dealing, particularly in “taking private transactions”, seems heightened in the Hong Kong controlled company environment (compare Appendices A and B). (5) Remedies and interaction between local and international activists such as TCI, Elliott, SAM and Webb and the board/executive directors of Hong Kong controlled companies who will only make public their disagreements with such controlled companies if/when negotiations break down. If and when local and international activists such as TCI, SAM, Elliott and Webb do not get through to the board/executive directors of Hong Kong controlled companies, they will go public, challenge an M&A transaction (usually a taking private/privatisation) or go to court – here the insights of additional reputational strategies based on such legal channels are available (Kastiel’s findings) – see Elliott (Bank of East Asia) and Webb (Ming Fai). (Again, see the structural similarities between campaigns in Germany and Hong Kong, as outlined in Appendices A and B). Frank M.K. Wong, June 22, 2017 - SSRN “Shareholder Engagement and Activism under the Radar: Empirical Evidence from Hong Kong (2003-15) – Rethinking Disclosure of Interests Regime” (2017). BlackRock, May 2016 – “Corporate governance and proxy voting guidelines for Hong Kong securities”. Bloomberg, August 22, 2016 – “BlackRock Says Many Hong Kong Firms Ignore Minority Shareholders”. South China Morning Post, January 15, 2015 – “Hong Kong still competitive despite Li Ka-shing’s departure for Cayman Islands”. Conyers Dill & Pearman (Martin S. Lane), December 15, 2015 – “Cayman Islands: Cayman Islands Perspective On Shareholder Activism”. Harneys, August 21, 2017 – “Shareholder activism: considerations for BVI companies”. Slaughter and May, May 2014 (consulting editors: Benita Yu and Laurence Rudge, Slaughter and May) – “Hong Kong Corporate Governance: a practical guide”. Matthew J. Mallow and Jasmin Sethi, “Engagement: The Missing Middle Approach in the Bebchuk-Strine Debate”, 12 NYU J of Law & Business, pp. 385–406 (April 2016). Securities and Futures Commission (Hong Kong) March 2016 - Principles of Responsible Ownership. Securities and Futures Commission (Hong Kong) and Hong Kong Stock Exchange (27 September 2013), “Joint policy statement regarding the listing of overseas companies”. Hong Kong Stock Exchange Listing Rules Chapter 24 - Listing Rules for Cayman Islands and BVI incorporated companies. Bryane Michael S.H. Goo, (2015),"Corporate governance and its reform in Hong Kong: a study in comparative corporate governance", Corporate Governance, Vol. 15 Iss 4, pp. 444–75 (2015). German Corporate Governance Kodex (February 7, 2017 version). UK Stewardship Code (September 2012 version). Roger Barker and Iris H.Y. Chiu, (2015), “Protecting minority shareholders in blockholder controlled companies: evaluating the UK’s enhanced listing regime in comparison with investor protection regimes in New York and Hong Kong”, Capital Markets Journal Vol. 10, No 1, pp. 98–132 (2015). Kobi Kastiel, (2016), "Against all Odds: Hedge Fund Activism in Controlled Companies", Columbia Business Law Review Vol. 1, pp. 60–132 (2016). Maximilian Stadler and Dodo zu Knyphausen-Aufseß, Lars Schweizer, (2015), “Shareholder activism by hedge funds in a concentrated ownership environment: an empirical study for Germany”, Int. J. Financial Services Management, Vol. 8, No. 1, 2015, pp. 58 – 82 (2015). Wolfgang Bessler, Wolfgang Drobetz and Julian Holler, (2015), “The Returns to Hedge Fund Activism in Germany“, European Financial Management, Vol. 21, No. 1, pp. 106–147 (2015). Christian Thamm, Doctoral Dissertation Technical University Darmstadt (2013), “Minority Shareholder Monitoring and German Corporate Governance”, Corporate Finance and Governance series vol 13 (editor Dirk Schiereck), PL Academic Research. Julian Holler, Doctoral Dissertation University of Gießen (2012), “Hedge Funds and Financial Markets – An Asset Management and Corporate Governance Perspective”, Gabler Research (Wiesbaden 2012). Cheah Cheng-Hye, Chairman of Value Partners, Statement made during HKSI Institute Seminar on 10 May 2016 – “Value Investing: How to make it work”, according to personal notes of proceedings taken by Frank M.K. Wong. ejinsights (Bernard Chan), October 20, 2016, “Why promoting Hong Kong shareholder activism matters”. Ami de Chapeaurouge, “Clarifying misconceptions about shareholder and hedge fund activism in Germany”, Ethical Boardroom Spring 2017, pp. 106–08 (2017). Ami de Chapeaurouge, “Activist Equity Hedge Fund Campaigns in Germany between 1999–2016)”, Powerpoint Presentation to Frankfurt Shareholder and Activist Hedge Fund Conference April 7, 2016 (80 pages), Institute for Law and Finance (2016). Bryane Michael, Infographic Instant webinar series – Hong Kong University. Mr. de Chapeaurouge is a founding partner of the Germany-based corporate law firm DE CHAPEAUROUGE + PARTNERS. He is admitted to practice in Frankfurt and New York and obtained his German law degrees at Frankfurt University, earning further degrees in the United States from Columbia Law School (LL.M.) and Harvard Law School (S.J.D. ), respectively. Concentrating in corporate, securities, M&A, corporate finance, capital markets, commercial lending and workout-related matters, he lends a trusted perspective as Consigliere to Governments, multi-lateral agencies, families, financial institutions, asset managers, venture capital (VC), private equity (PE) and hedge funds, technology companies, and public and private corporations.